Meltdown is an original abstract painting using acrylic paints and crackling clay on canvas. It is a large vibrant painting with lots of texture, making it a great focal point in a room. The striking combination of blues and oranges stand out amongst the white crackling clay, exposing the other layers underneath. 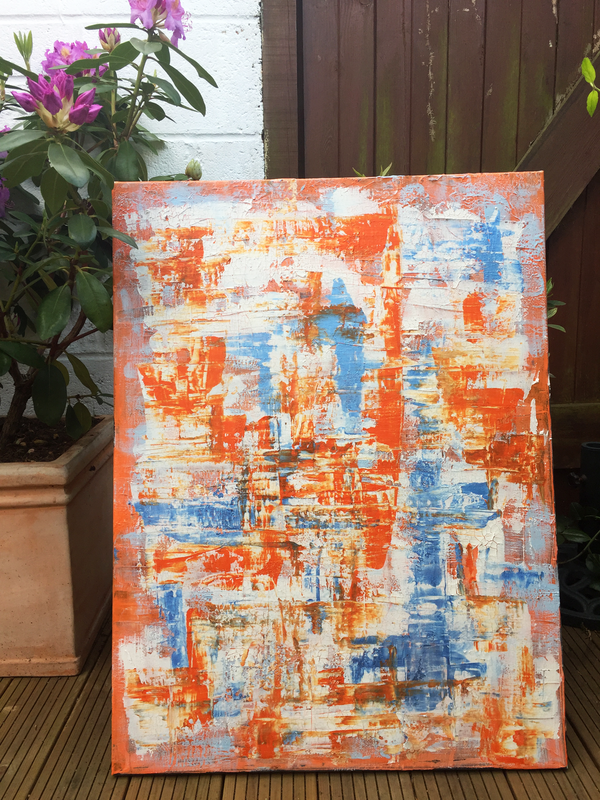 I was inspired by the heat on the day this was painted and the colour combination following his visit to a friends restaurant the night before.